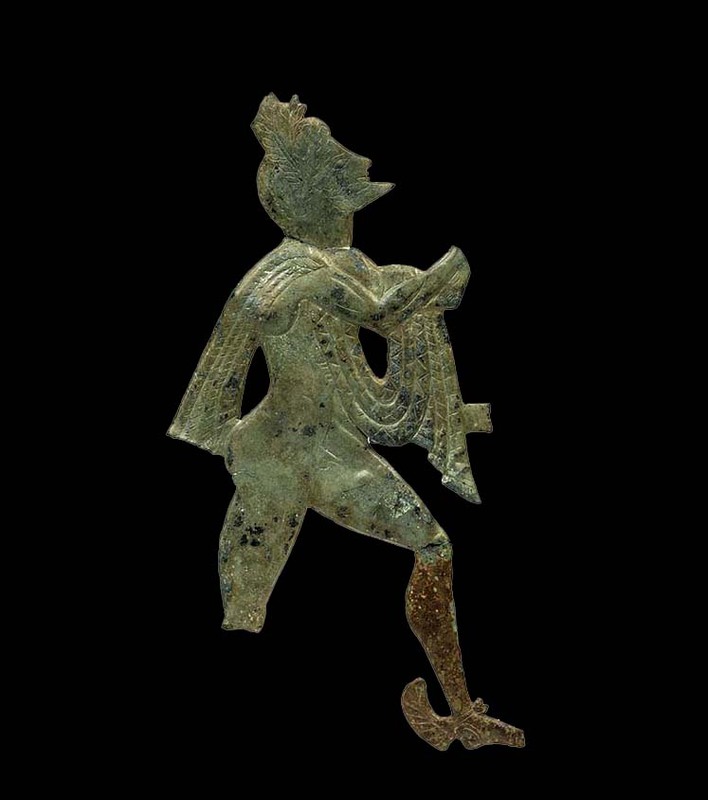 Cut-out bronze plaque depicting the god Hermes. It is decorated by hammering and engraving. The bronze plaques of Syme, offering of individual votaries, are testimonies to religious ideology and ritual at the sanctuary. They depict the god Hermes in his many aspects and dedicators – huntsmen carrying animals for sacrifice or their dismembered quarry, alluding to initiation rites and the education of the youth. Syme, Sanctuary of Hermes and Aphrodite, Archaic – Classical period, 7th - mid 5th cent. BC.